A wooden dory adds a maritime touch to signage in front of the 50 Centuries’ Interpretation Centre. 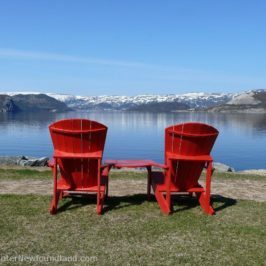 In 1997, accidental discovery of ancient artifacts led archaeologists to Bird Cove, a small settlement on the north west coast of Newfoundland, where they discovered a rare undisturbed habitation site and a tool production area of the Maritime Archaic people (the Big Droke and Caines sites respectively). 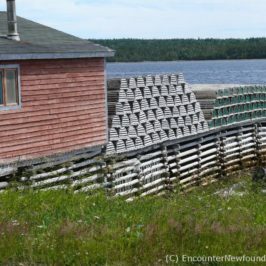 Greater exploration eventually revealed the existence of numerous sites of archaeological interest in the area, and those sites, each a treasure trove of historic fragments, yielded a wealth of information about other very early inhabitants of the island. 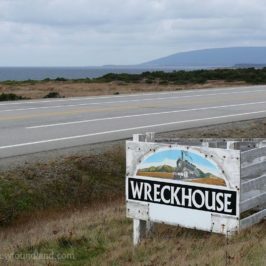 Of the thirty-eight archaeological sites discovered in the area, only seven have been excavated thus far, but those seven have offered up amazing artifacts dating as far back in time as 4530 BP and indicating the presence of Maritime Archaic Indian, Groswater Palaeoeskimo, Dorset Palaeoeskimo, and Cow Head Complex Recent Indian. 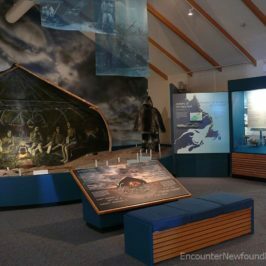 The artifacts uncovered at the digs are on exhibit in the 50 Centuries’s Interpretation Centre, where visitors can travel through time to discover what brought these early peoples to these less-than-hospitable shores, how they survived the elements and what their daily lives were like. 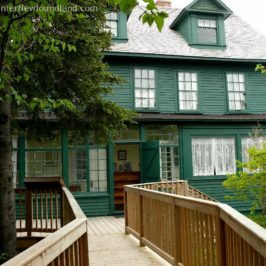 The centre is community organized and is a pleasantly intimate venue, with relaxed guided tours that provide interpretive explanations of the exhibits throughout the various rooms. Beginning with the Geology Display Area, where fossils and unusual rock formations make for an intriguing start, the tour continues along a colorful timeline corridor to the Pre-historic Cultures Room and the museum’s raison d’etre—the archaeological finds themselves. 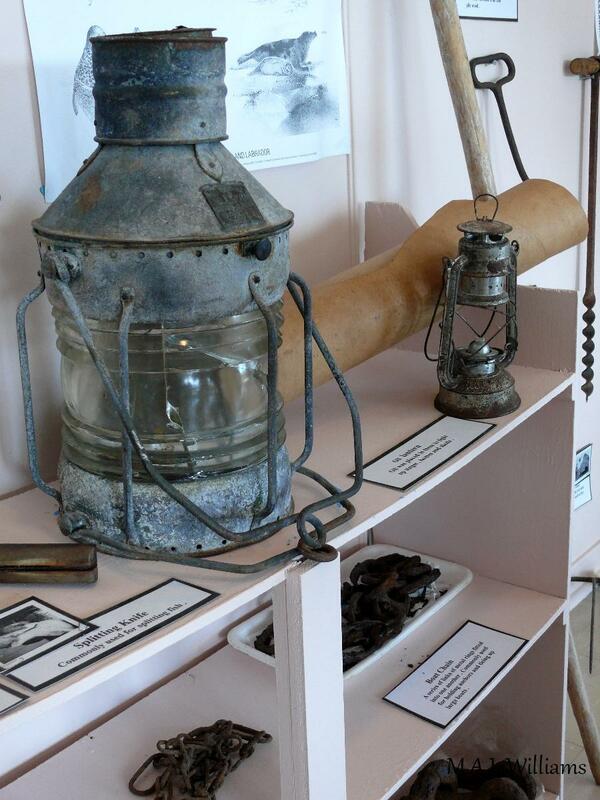 Moving on to the Early Explorers Room, with its intriguing Captain Cook exhibits, the tour ends in the Heritage Display Room, an antique lover’s paradise packed with the paraphernalia of a more recent past, including school days mementos and fishing and WWII memorabilia. For the geology minded, the archaeologically inclined, the history buff and the just plain nostalgic, the 50 Centuries’ Interpretation Centre offers a comfortable, informative and time-worthy stop on the journey. 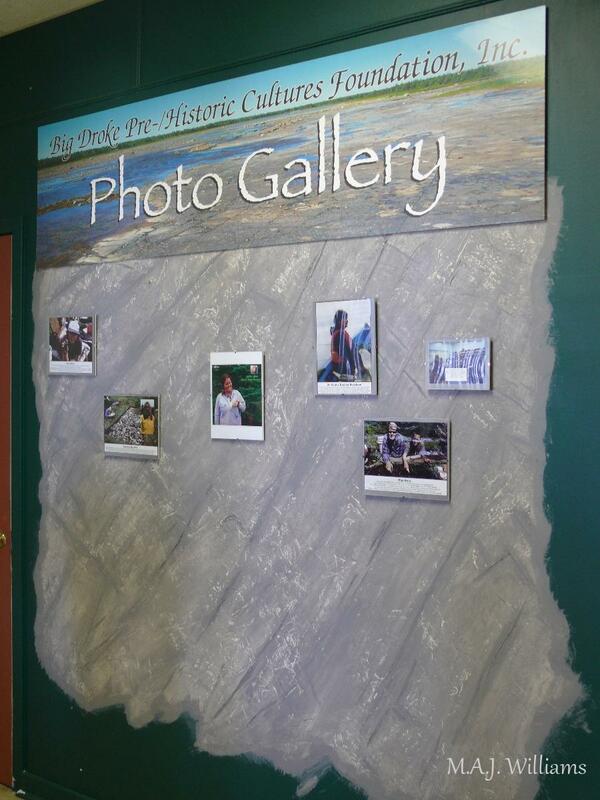 Take the photo tour below for a preview of the exhibits. 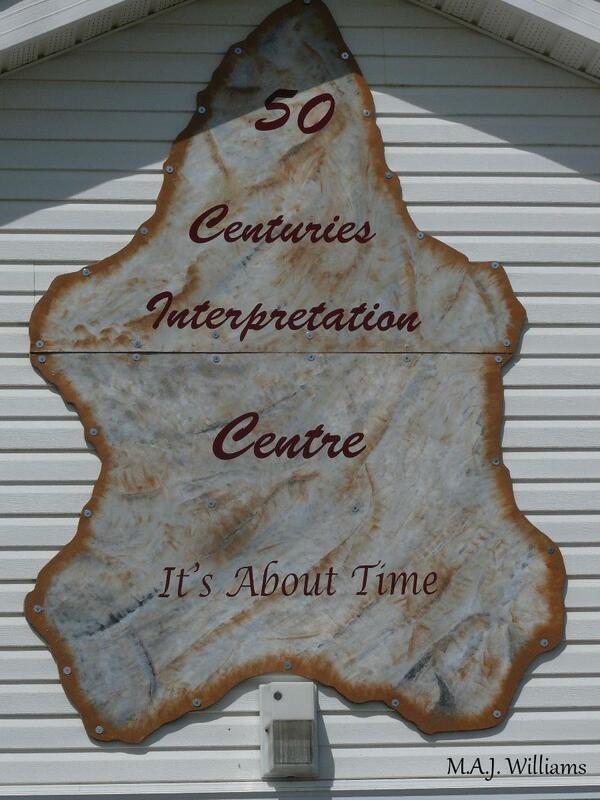 A sign resembling a bear shaped artifact tells visitors they have arrived at the 50 Centuries' Interpretation Centre. 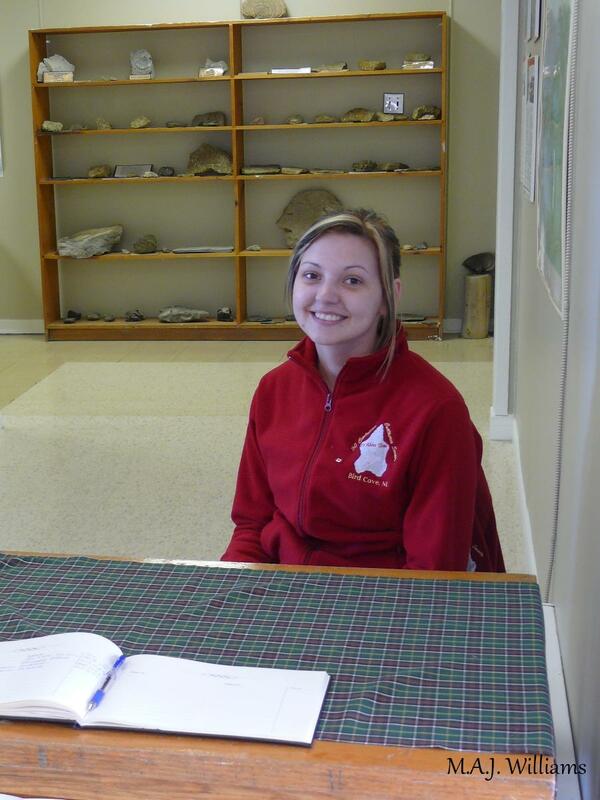 Personable and well informed guides like Karen Tatchell are available to lead museum visitors on a journey through time. 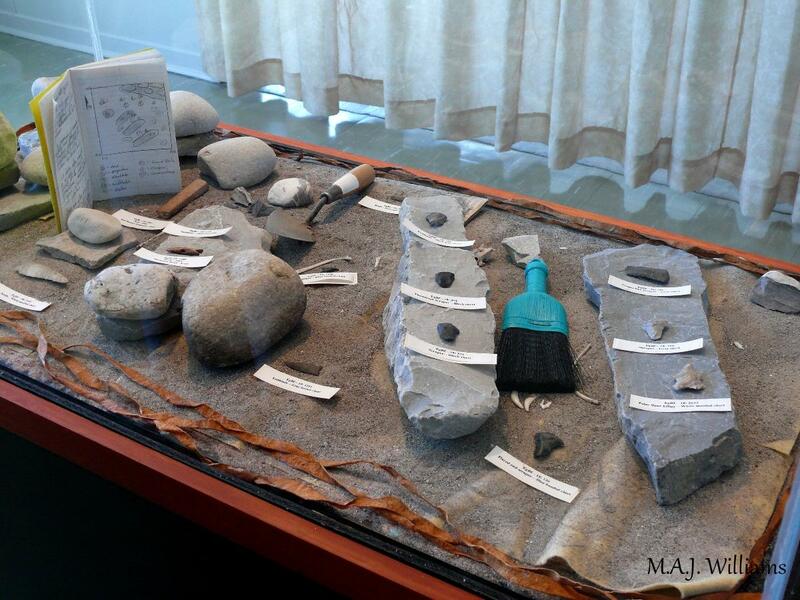 The many fossils and unusual geologic specimens found during the digs are now displayed in the museum's Geology Display Area. 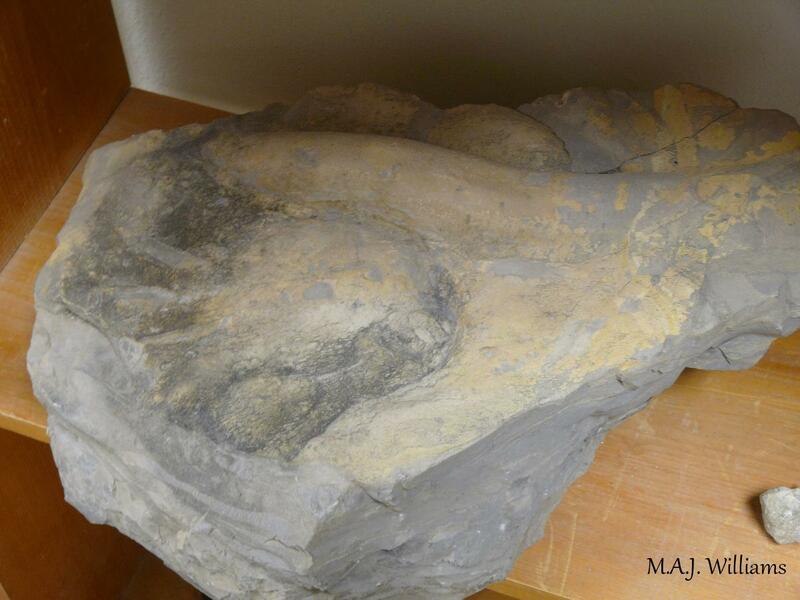 Experts are undecided about what animal may have made this fossilized footprint. 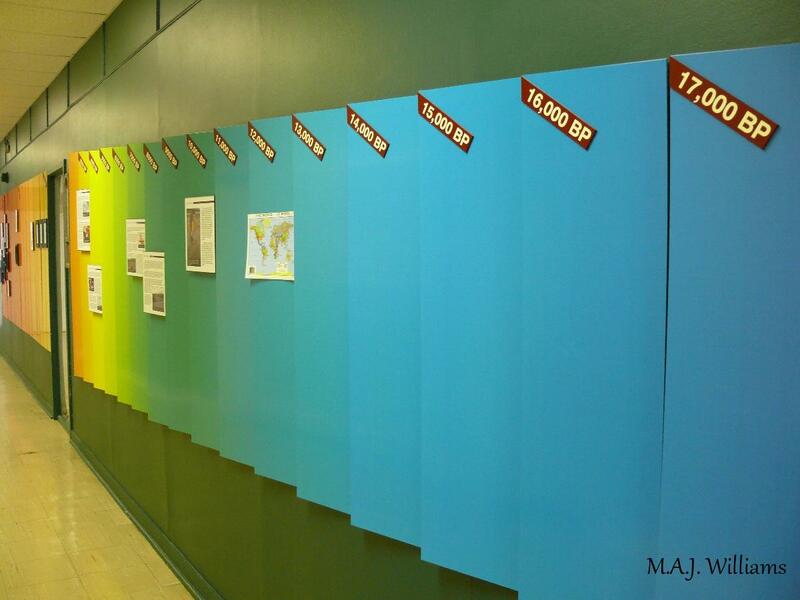 A color coded timeline takes you on an informative journey from the last Ice Age to the present via interpretive panels and imagery. 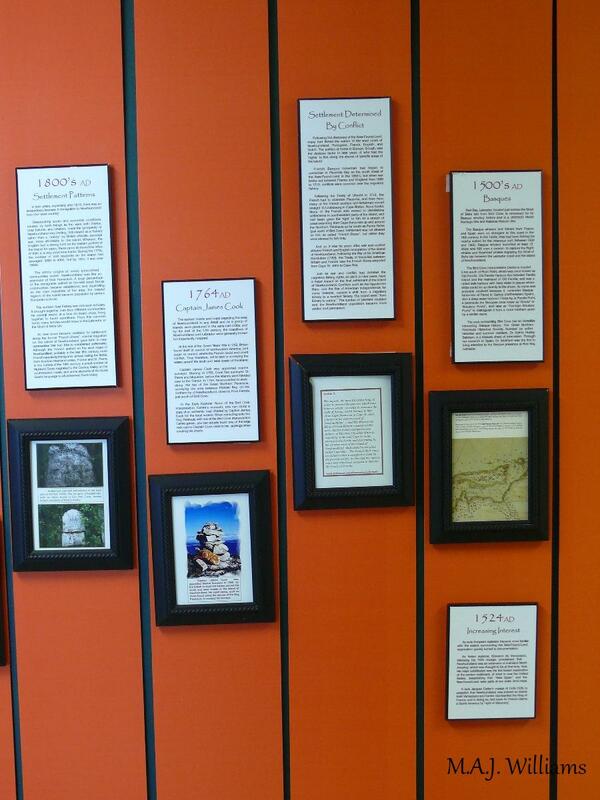 The orange timeline section documents local history from the 1500s to the 1800s. Learn about the people responsible for the discovery and excavation of the museum's rare treasures. Glass cased exhibits in the Pre-historic Cultures Room display a multitude of stone artifacts unearthed at the Big Droke and Caines sites. Carved from chert, this small charm in the shape of a polar bear has lent its shape to the 50 Centuries' logo. The original was carved to lend fortune to the hunter. The toggling harpoons of the Maritime Archaic people were designed with a detachable head, enabling the hunter to drag a seal from the water. 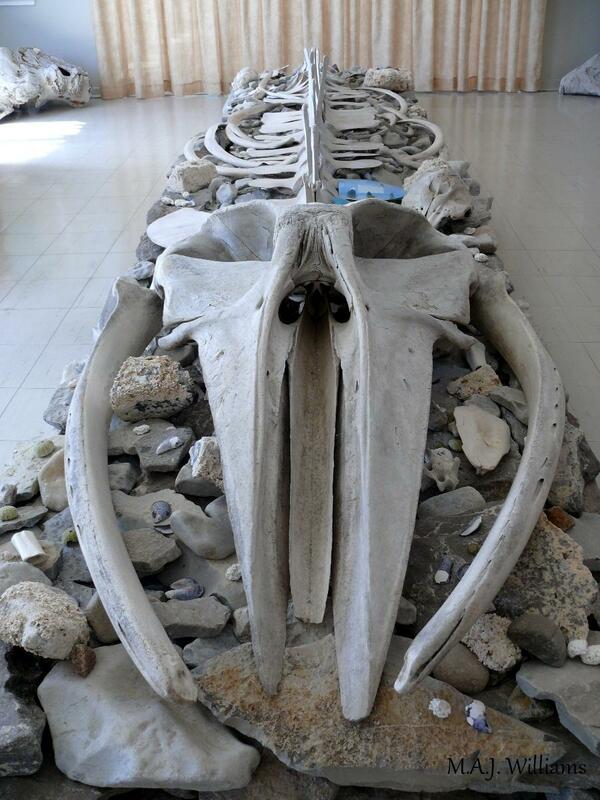 A Minke whale skeleton, collected from a beach on the Dog Peninsula, is an unexpected discovery in the Early Explorers Room. 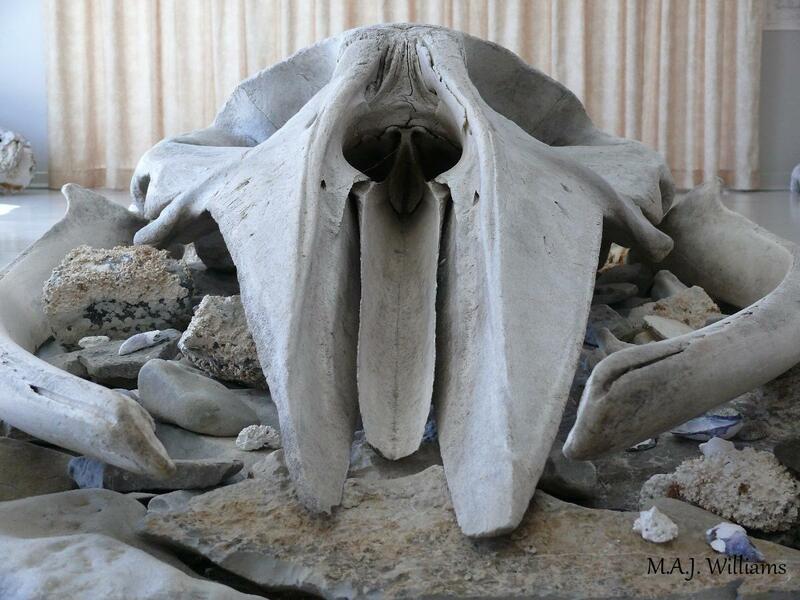 This massive skull belongs to the second smallest species of baleen whale--the Minke. The seashells are indicative of its impressive size. 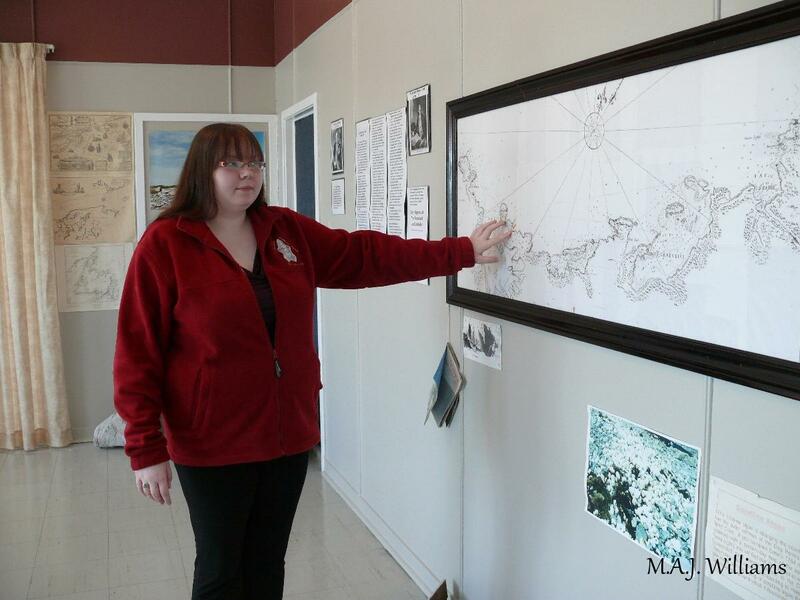 Shelly Coombs, one of the centre's knowledgeable guides, indicates areas of interest on Captain James Cook’s map, viewed in the Early Explorer's Room. 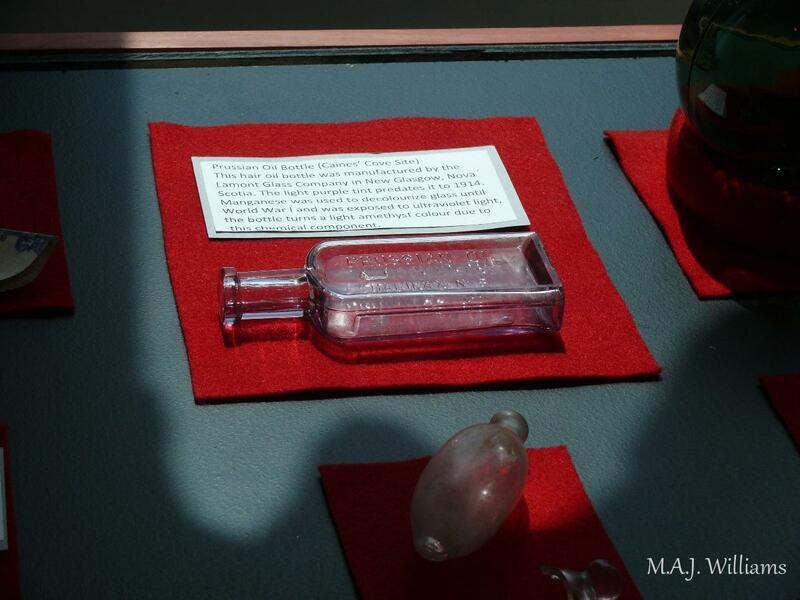 Stories of the Basque, English, French, Irish and Scottish settlers are told by glass artifacts uncovered during excavation. 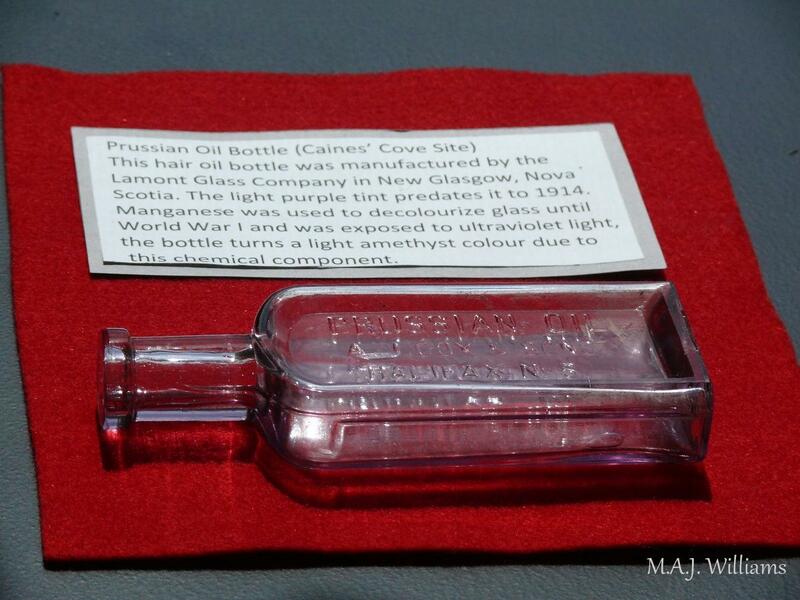 A colored Prussian hair oil bottle found at the Caines' site reveals the identity of early settlers. 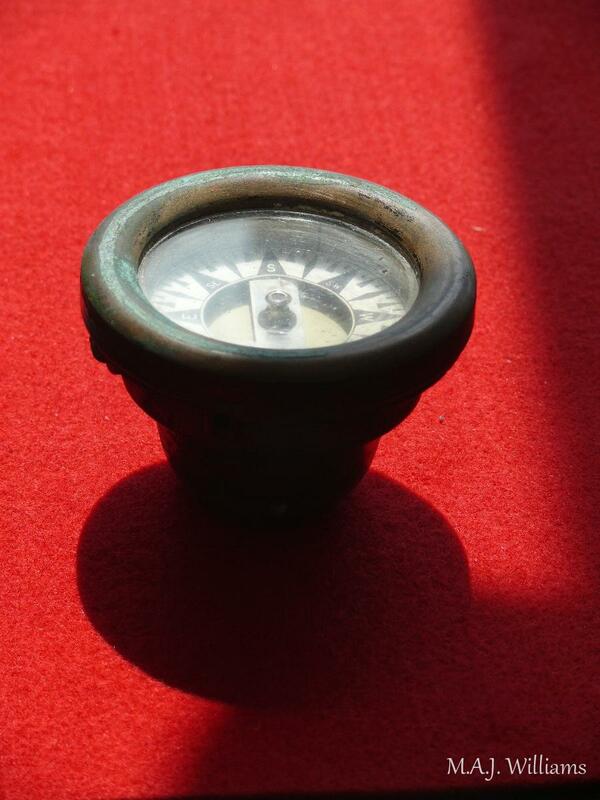 An amazingly preserved wooden compass unearthed by the site archeologists conjures visions of wooden sailing vessels. 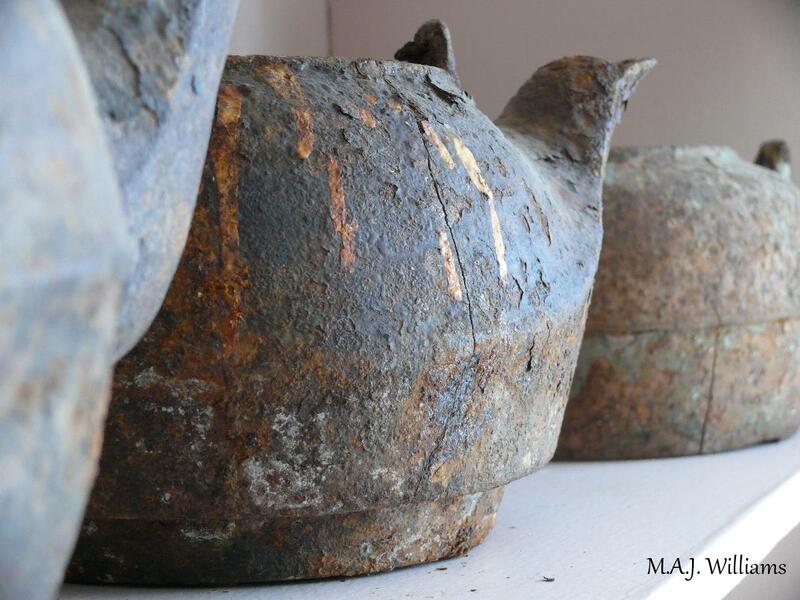 Old kettles age on a shelf in the Heritage Display Room, far from their hearth fire homes. 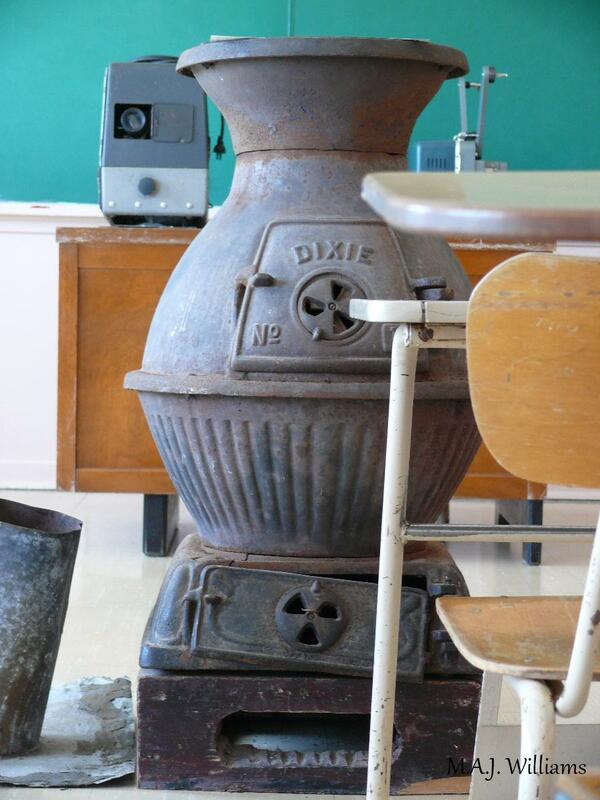 Harking back to school days of yesteryear, a pot belly stove sits among old classroom desks as part of the Heritage Display. 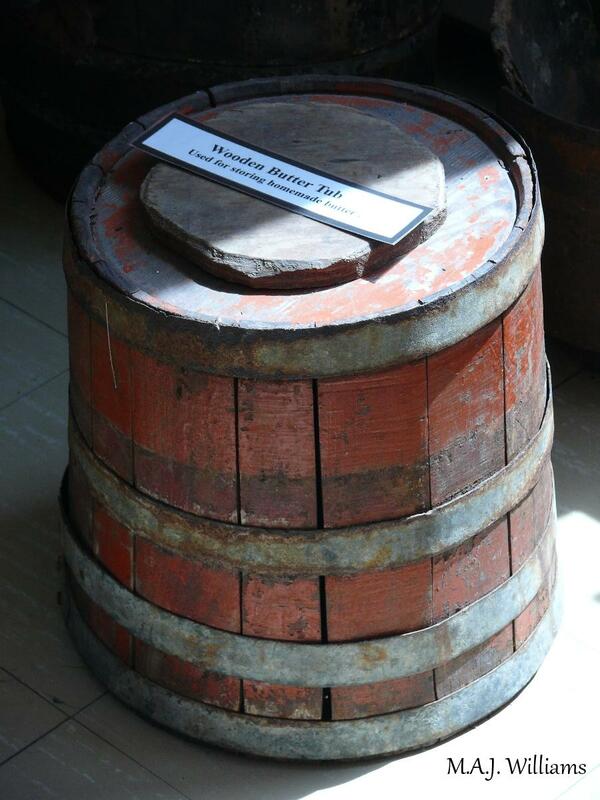 An old wooden butter tub, used for storing homemade butter, sits among kegs, buckets and other accouterments of yesterday's kitchen. 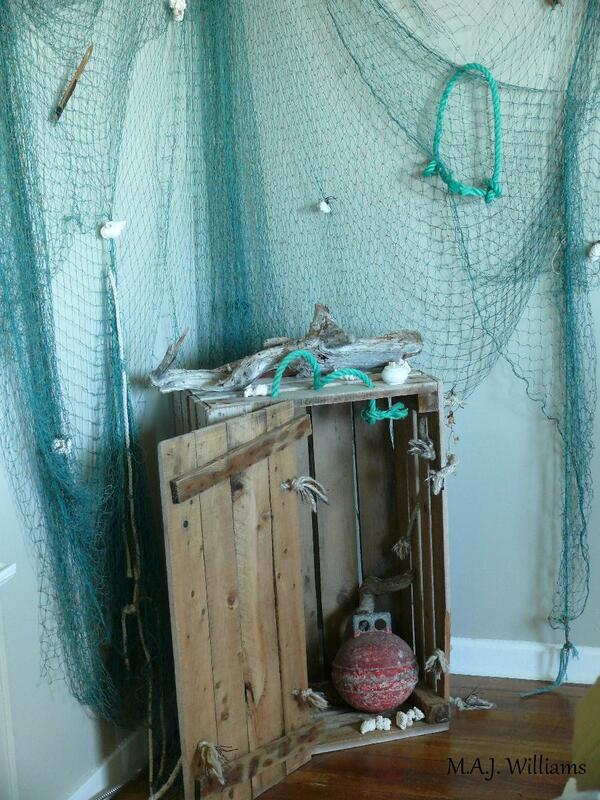 Buoys, nets, hooks and sundry mementos of the fishing industry hang suspended in time. 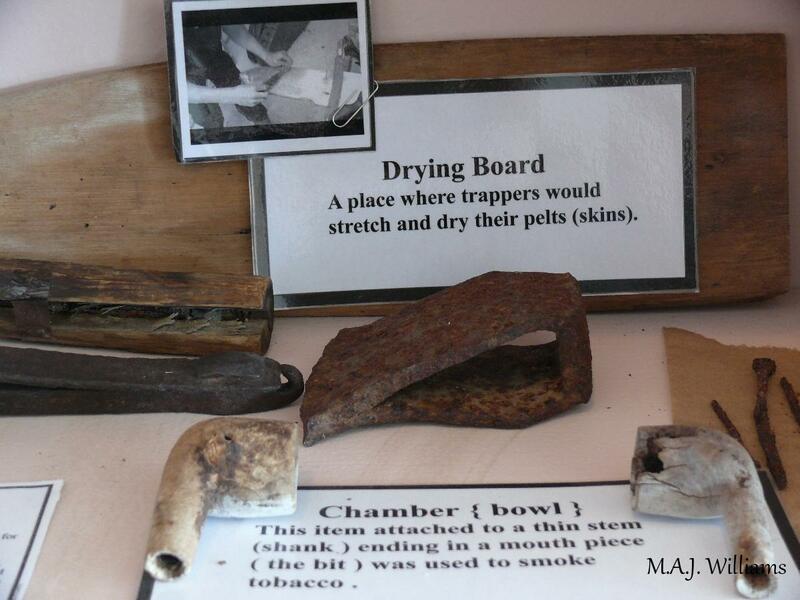 Various tools of the trapper's trade are preserved in the museum's informative heritage exhibits. 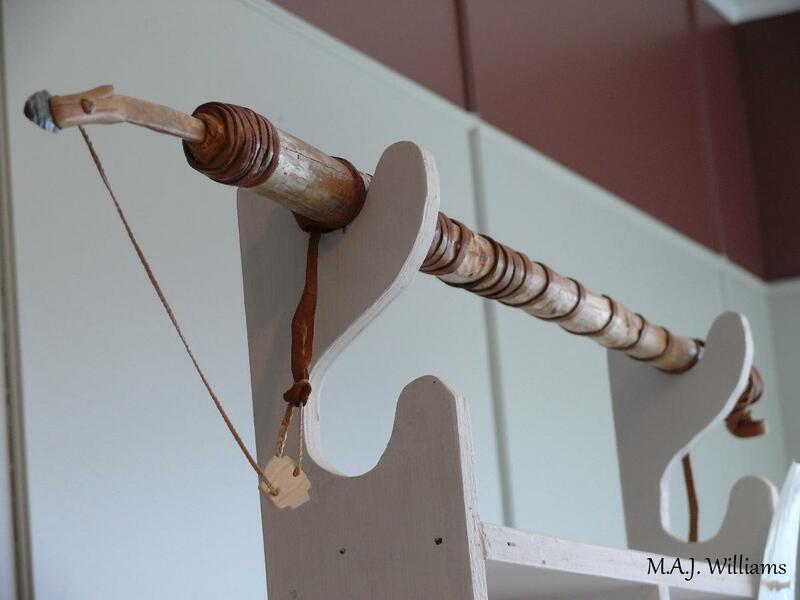 Splitting knives, boat chains, lanterns and numerous maritime artifacts allow visitors to imagine the toilsome and perilous lives of those who made their living from the sea. 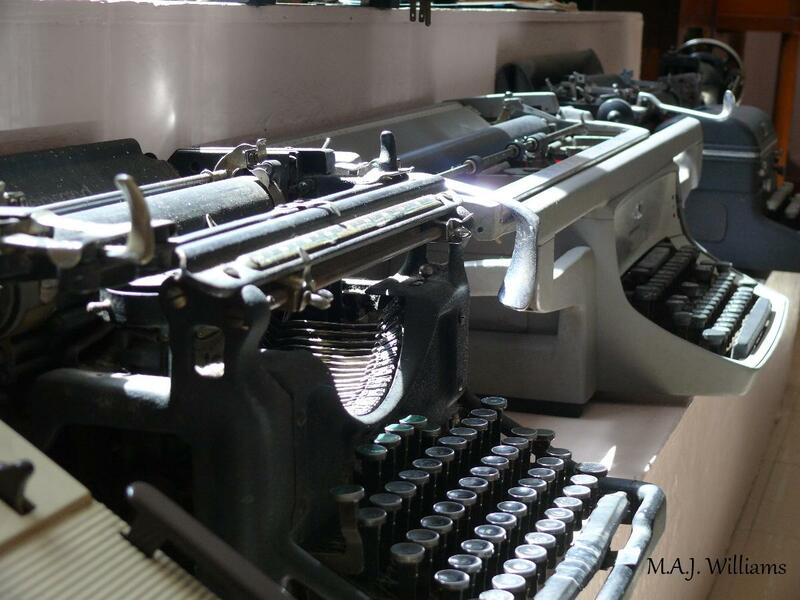 The museum is home to an interesting collection of vintage typewriters. Once at the pinnacle of technology, these old machines are now relics of a bygone era. 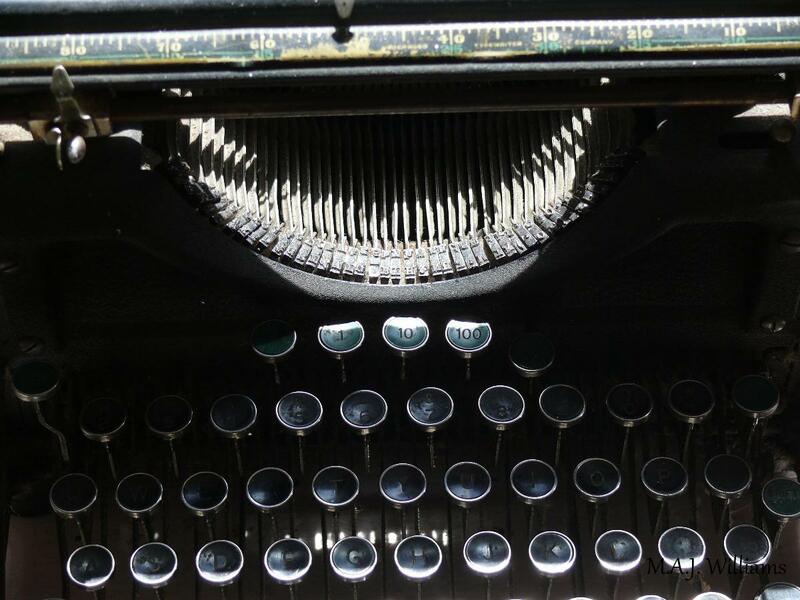 An antique typewriter finds a home at the museum, where the next generation can marvel at the 'ancient' technology. 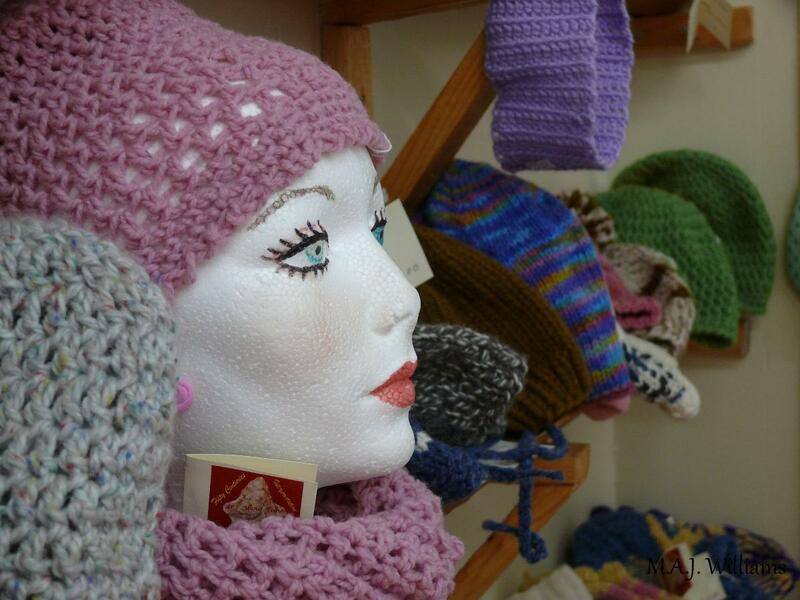 A craft shop at the centre offers knitted accessories and other handcrafted goods created right on the premises. 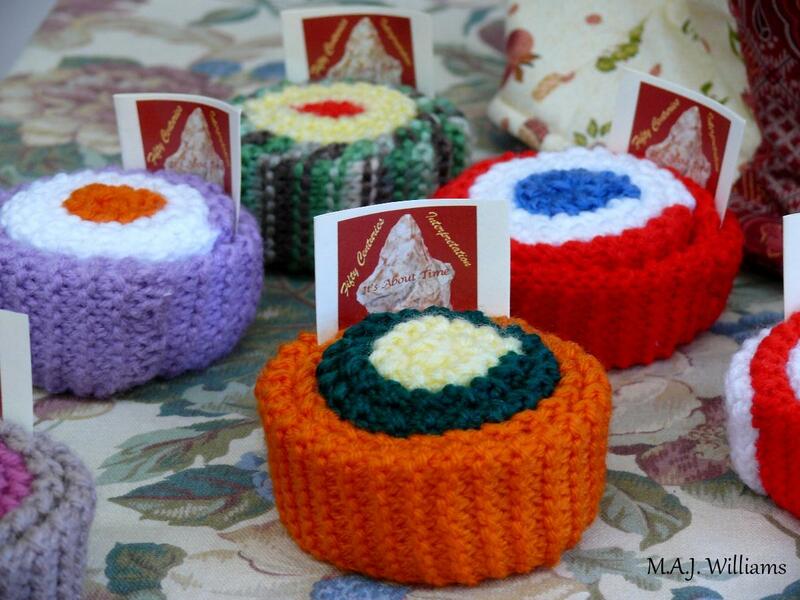 Unique items such as these handcrafted yarn cupcakes make sweet souvenirs. 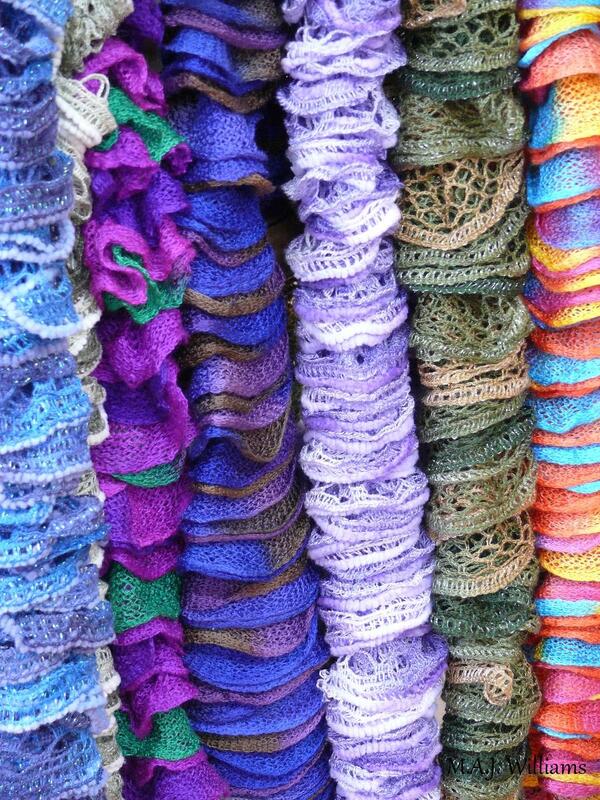 Strikingly colorful homemade scarves resemble multi-hued Hawaiian leis. 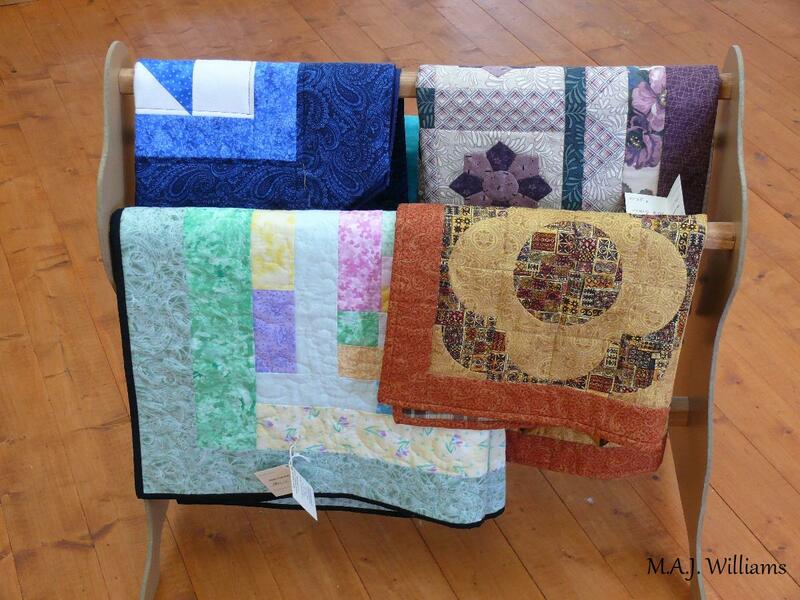 There's nothing as cozy and well crafted as a hand stitched Newfoundland quilt. These colorful creations are heirlooms in waiting. 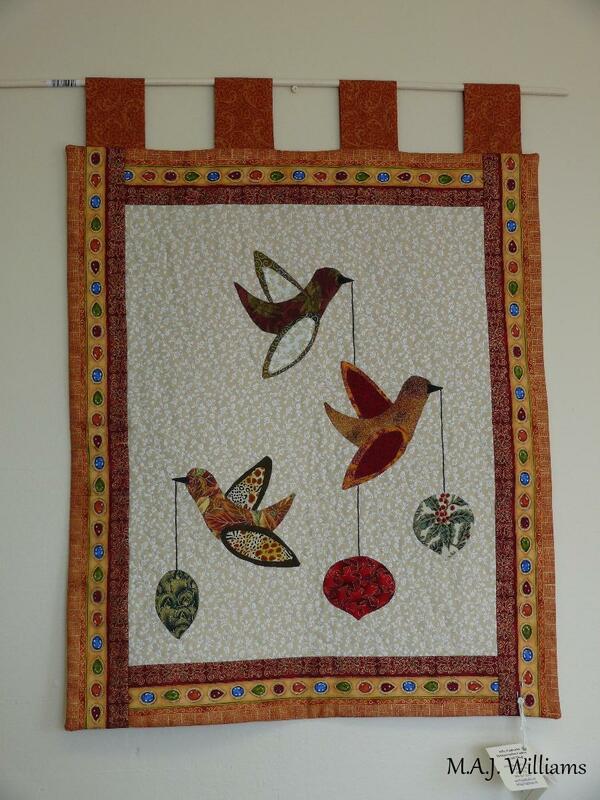 The beautiful, handmade cloth hangings that adorn the centre walls are also available for visitors to purchase. 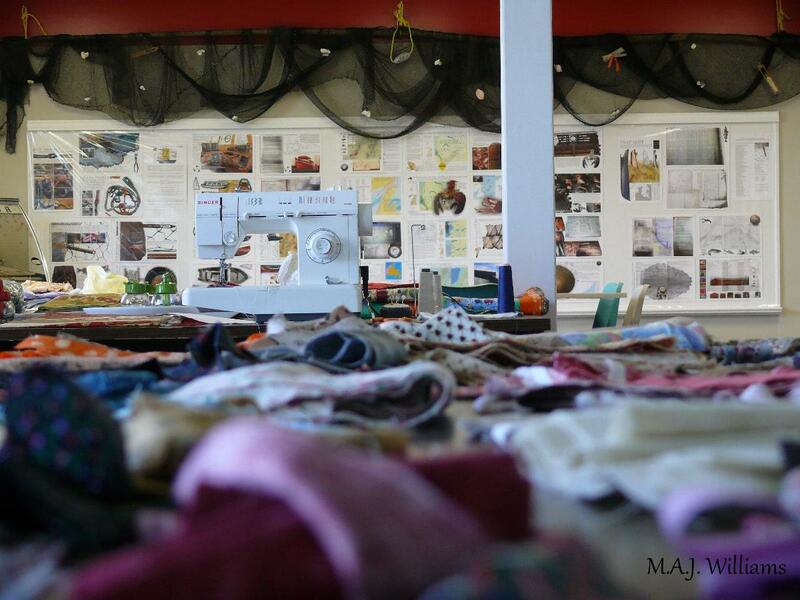 The lion's share of the craft shop items are created in the onsite workshop, worth a visit in itself. 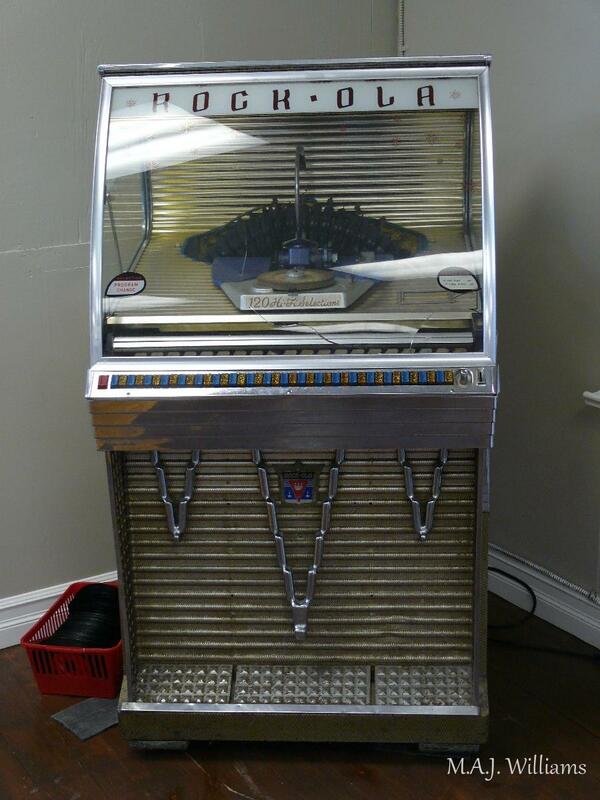 Around every corner there's a remarkable treasure to be found, like this now silent Rockola juke box that was once the life of the party.. 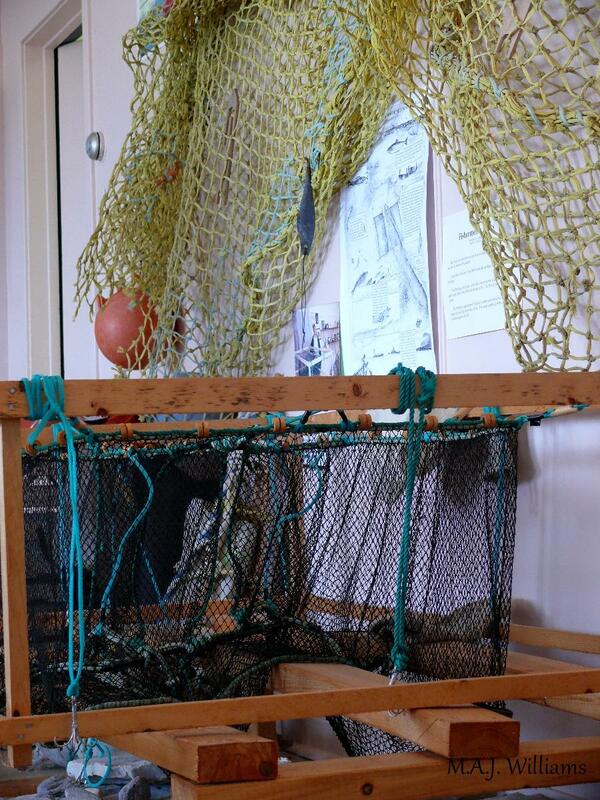 Throughout the centre, artistic arrangements of fishing gear and beach treasures remind the visitor of the island's seafaring culture. 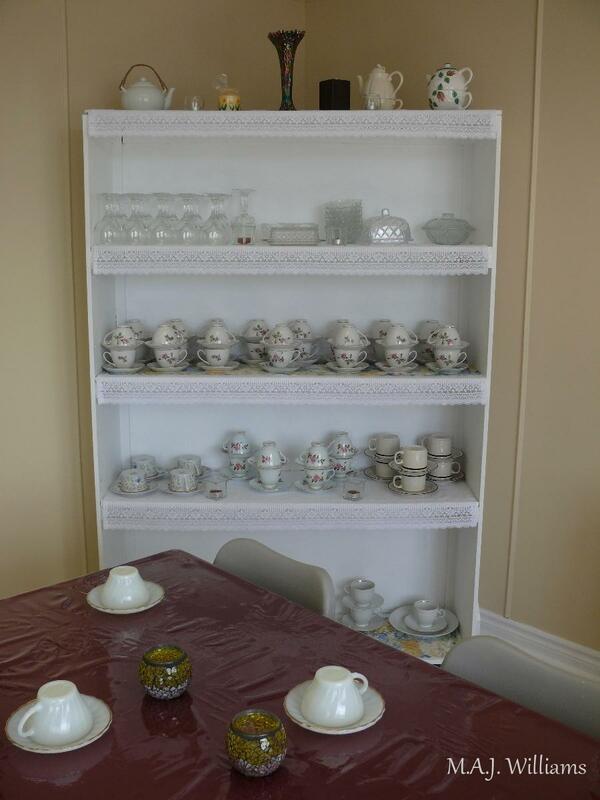 At the end of the tour, visitors can enjoy a cuppa or a taste of authentic local foods in the cozy Tea Room. 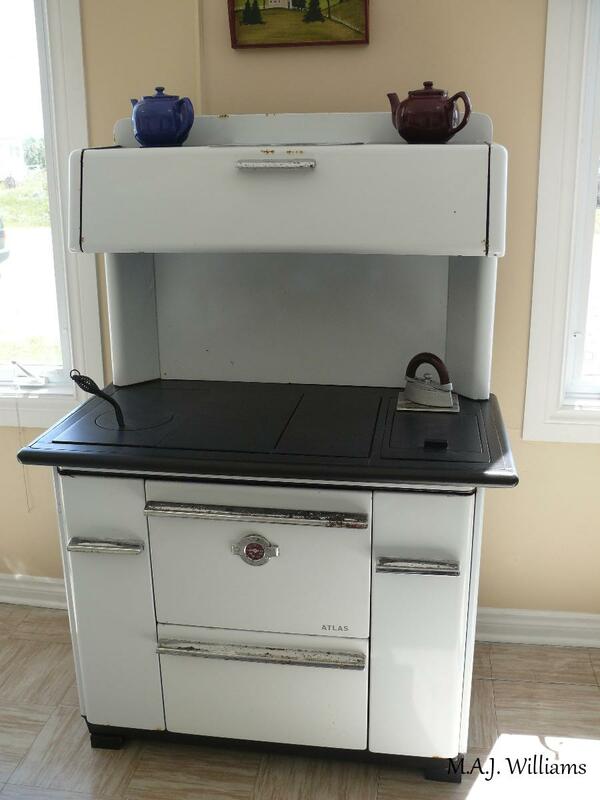 The tasteful rural kitchen decor contributes to the Tea Room's sit-a-while ambiance. It's a nice place to recharge before engaging the rest of the Bird Cove experience. 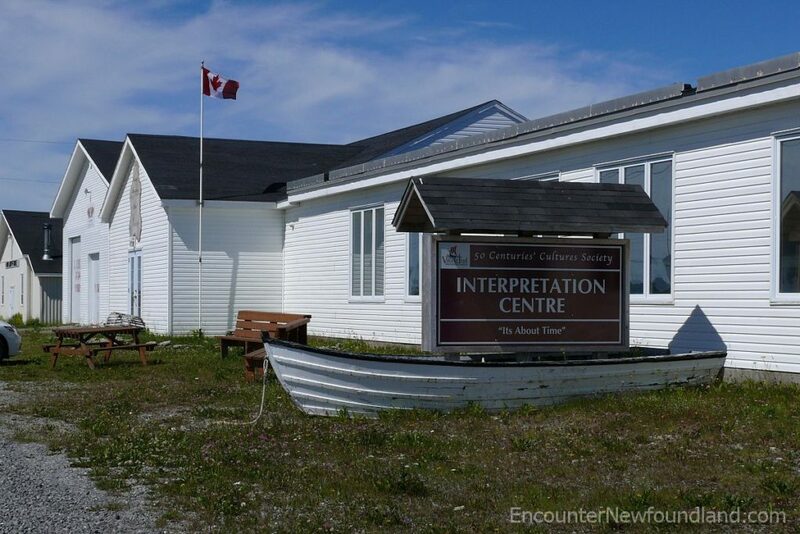 The interpretation centre isn’t the end of the Bird Cove experience; there’s a whole lot more to explore. There are paths to be walked, uncommon plants and birds to be seen, historical landmarks to be visited and possibly even relics to be found. 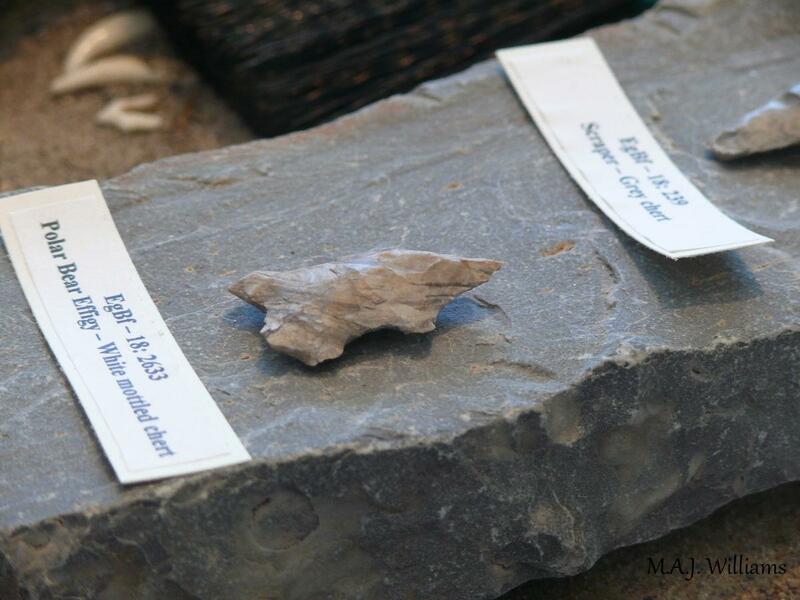 Its not unusual to come across early European artifacts along the trails that crisscross the peninsula. A leisurely afternoon walk in nature could make a discoverer out of anyone. The actual archaeological sites are open to the public, as well, and put visitors in the center of the historic action, gazing on the very spots where a rare history has been unearthed. 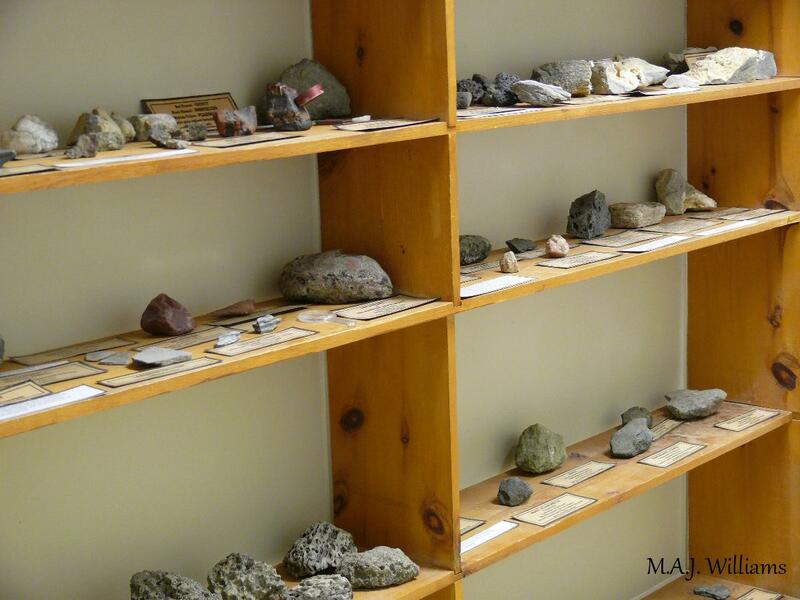 Rockhounding is always in vogue here, too, for those who’d like to try their luck at finding a rare fossil, mineral or formation. 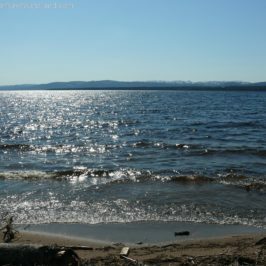 The geologic specimens displayed at the centre were found on nearby beaches, and there’s always the chance that a beach-combing visitor will find one more. As a fitting end to a journey through history, the well-maintained trail along Dog Peninsula brings sojourners to one of the large rock cairns that Captain Cook himself used to take sightings when charting his maps—and the ultimate spot for a photographic memento of a day’s timeless experience.